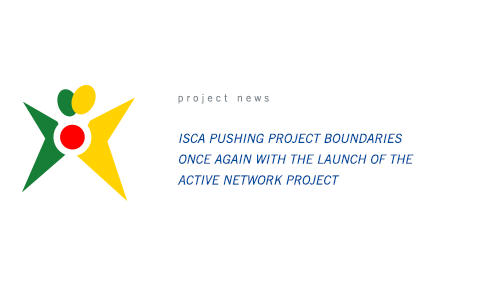 ISCA have launched the Active Networks Project, bringing municipalities and Sport organisations together to look at effective partnership and highlight best practice in partnership working for the promotion of sport for all. It is the first project that the EU has ever funded of this size working specifically with municipalities and sports organisations. And ISCA is pleased to put focus on with the key importance of municipalities and the role they play in growing sport for all. The project will run for the next 18 months with the aims of drawing attention to the importance of partnership working between sport for all organisations and municipalities, growing networks to identify, develop and promote best practice and recognizing and rewarding good partnership working practice. The project kick off meeting was hosted in Copenhagen, and representatives from over 10 European countries attended. The group was welcomed at Copenhagen City Hall by Pia Allerslev, the Mayor for Sport and Culture Copenhagen, who showed her support for the project and the partnership working principles it is based upon.